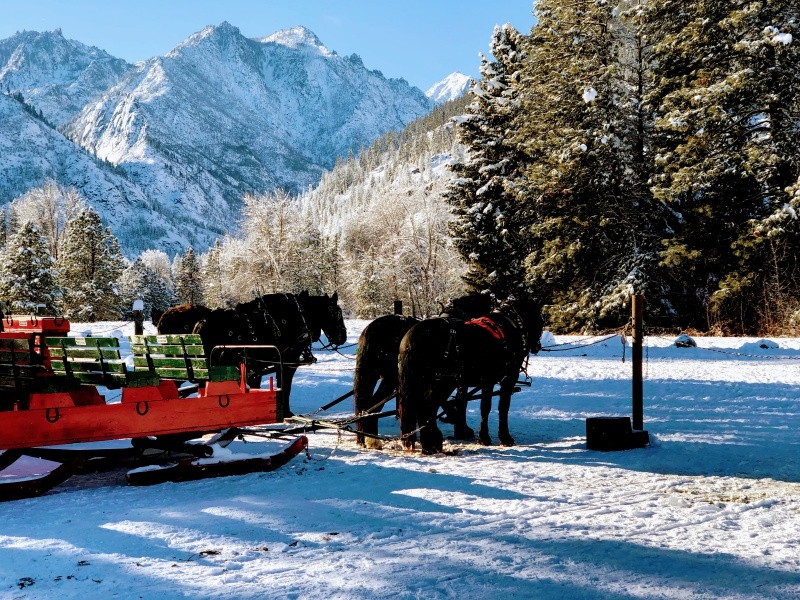 Leavenworth provides a wealth of activities for the entire family. Whether you are in town to shop and take in the Bavarian experience, or if you wish to raft, bike, or hike in our Alpine wonderland, Hotel Pension Anna is the perfect base for your special get-away. Please don't hesitate to ask our knowledgeable staff if you need help planning activities or making reservations. We will help make your stay memorable! Shopping - We are one block away from fine shops and local artisans, Art in the Park in the summer, and Christkindlmarkt in November. Dining - Whether your taste is German, Italian, Asian, Mexican, or steak & seafood, Leavenworth has it all. Wine Tasting - Sample local wines at tasting rooms in town and local wineries in the Wenatchee Valley. Festivals - Stay where the action is during Maifest, Autumn Leaf, Oktoberfest, Christmas Lighting, and other festivals happening throughout the year. Skiing and Tubing - We are just one block away from Cross Country trails in Riverfront Park, and 24 km of groomed trails are within a three-mile drive. 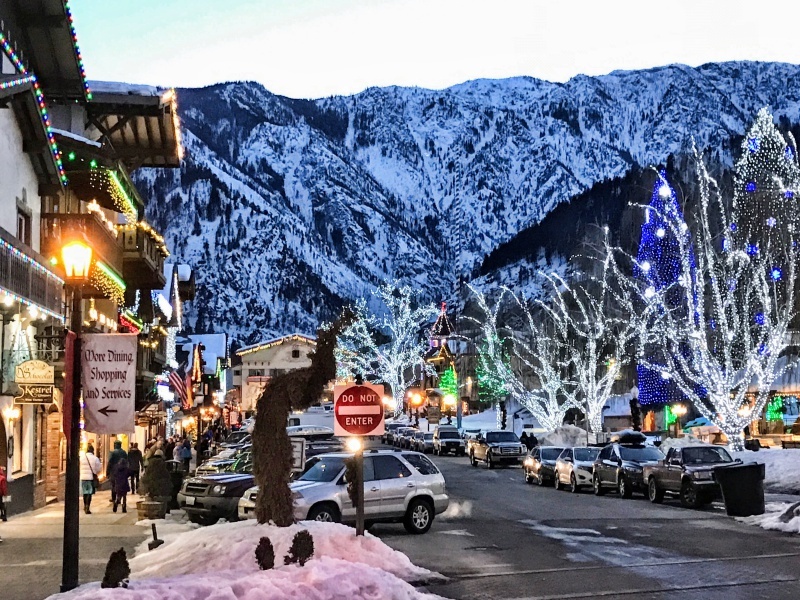 The whole family will enjoy the winter activities offered by the Leavenworth Winter Sports Club. We are also centrally located between the major downhill ski areas of Mission Ridge and Stevens Pass, each only 35 miles away! Ski and lodging packages are available. Hiking - Hikes to some of the most beautiful mountains and Alpine lakes anywhere are just minutes away! We're also a block away from the Riverfront Park trail system for quiet evening walks. Rock Climbing - Icicle Canyon has some of the finest rock climbing in the country. Biking - Miles of quiet country roads and challenging single track for mountain biking are easily accessible. Golf - Tee off at Kahler Glen or Leavenworth Golf Courses. Rafting - Exhilarating whitewater trips down the Wenatchee River can be arranged. Join us during the first 3 weekends of October! (OCT 5-7, 12-14, 19-21) Oktoberfest in Leavenworth is the next best thing to being in Munich! We have four venues each with live entertainment, food and beer! Stay in one Venue or roam around to each! CHRISTMAS LIGHTING FESTIVAL 2018 (NOV 30, DEC 1-2, 7-9, 14-16) Join us for the most wonderful time of the year, when our quaint Bavarian town becomes a Village of Lights (over half a million of them!) and holiday cheer abounds! Enjoy miles of mountain biking trails in the area!